Welcome on this website! - De website van margrietfoolen! Follow the latest news and designs via Facebook or Instagram! Margriet Foolen (1982) started Studio Divers directly after graduation at the Design Academy Eindhoven (2006). 'Divers' brings design in production and collaborates with great design labels. With great interest for functionality, material and production methods, Divers aims to design clever and functional products. International known design initiatives, like Droog Design, Serax, Brabantia, PT, Leitmotiv, Zuiver, Royal VKB and Metakor work together with Studio Divers on a regular basis. Studio Divers has won several prestigious design awards for the design of (for example) Slowcooker. For Noosa-Amsterdam Margriet went to Peru to lead fair trade production and prototyping for symbol Chunks. These Noosa Chunks are a worldwide success, the production in Peru is all done by hand by unique craftsman. 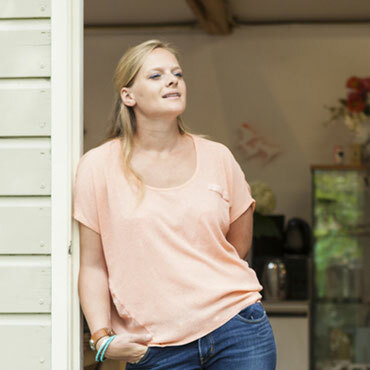 Beside creation, Margriet loves to share her experiences so far. Therefore she gives lectures, trainings and brainstorm sessions and leads trends, colour, design and inspiration workshops. and upcoming design students. Interested in an internship at Studio Divers? Just give us a call or send an enthusiastic email with your portfolio. Studio Divers designs, inspires and innovates.